Sarah Ho is a Taiwanese American actress who lives to tell meaningful stories. 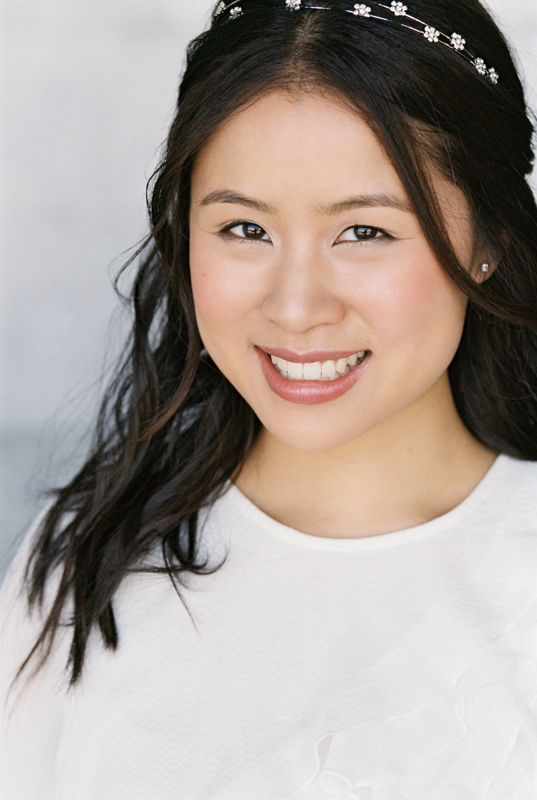 She has guest-starred and co-starred on shows such as “Murder in the First” and “Switched at Birth.” In 2017, she played the lead in “The Great Wall of Vicky Lynn,” which won the Audience Choice award at the Holly Shorts festival. She is involved in the community and proud to have served as Miss Taiwanese American 1st princess in 2012. Today, she volunteers at Cedars-Sinai and in the children’s ministry at Venice Church. While Sarah plans on pursuing acting for the rest of her life, she hopes to also cultivate a professional career as a nurse. She has always loved taking care of others and working with kids, and hopes to become a pediatric nurse. Sarah is currently enrolled at Santa Monica College and taking prerequisites for graduate school. She hopes to enroll in an Masters of Science in Nursing (MSN) program by Fall of 2019. Sarah is passionate about youth education. Besides volunteering for Young Storytellers Foundation, Sarah is also the founder of community service a cappella group YOUTHphonics, YOUTHphonics, a group dedicated to bringing free music education to underserved areas in Los Angeles. YOUTHphonics currently partners with the LACER program at Fairfax High School, teaching a cappella once a week to high school students after school. Here at sarahho.net, we make sure your personal information (such as your name and e-mail), if provided to us through our contact forms, is protected. We will always respect your privacy and never give out your personal information to anyone without your consent, unless required by law. Cookies are text files with information that your browser may store (if allowed) on a user’s computer. On our website, this information will be used to improve your experience. You may remove the cookies at any time by searching for and following the instructions to do so for your web browser in any search engine. If you have any questions or concerns, please contact us!